Oh, how quickly we forget. Just a few short months ago, every media outlet and social media platform was reporting on the devastation inflicted by Hurricane Harvey on Houston and surrounding areas. Before the residents of Texas could all be rescued, Hurricane Irma tore through Florida, Puerto Rico, and neighboring islands leaving record flooding and devastation in its wake. But Mother Nature’s tantrum was far from over. Wildfires ran rampant out west burning homes and destroying crops and ranches. Not to mention, the 7.1 earthquake that rocked Central Mexico. But here we are, just a few short months from Harvey’s first landfall, and comparatively speaking, it is radio silence. In today’s times, media moves at the speed of light and has been given the power to shape what society sees, hears and subsequently devotes their attention to. They’ve moved on, so we’ve moved on. But take a moment and think back. When images of elderly citizens sitting in their wheelchairs stranded waist-deep in water crossed your computer screen, were you horrified? When stories of teenagers using their fishing boat to rescue their neighbors made it in your Facebook feed, were you inspired? When you heard a gospel choir leader lift spirits at a Conroe Texas shelter with her angelic voice, did you too feel your hope renewed? Did the actions of our fellow countrymen and women ignite a fire in you to be more? To do more? Did you hear a little voice in your head or have a tug in your heart that said you had something more to give? Before we get caught up in the next political battle or Kardashian escapade, I challenge you to not let our high-speed news cycle and the latest Facebook algorithm put out that fire. Do not let it silence that voice. Each and every one of you brings something special and unique to this world. There is no other person who has the exact same background, passions, and talents as you. As those impacted by all this recent devastation begin the long road of rebuilding, it is our time to begin service to our community. Were you inspired by the work of a particular volunteer organization? Contact them to see how you can join. Did you envy the impact someone was able to make from their place of employment and have you been looking for a career change? Research what jobs are available. Perhaps you realized that your prayers have been focused inward and you vowed to express more gratitude and consideration for others. Keep that pledge. When you heard about the money raised to support victims, did you realize you have a higher capacity for giving? Donate to a group you believe in. I don’t know what exactly inspired you or what calling you felt, but I am quite certain that during the course of our country’s recent struggles it happened, and probably not for the first time. I implore you to make this time different. To make this time count. To make this time be the time you step up. So, the next time disaster strikes, you will not be sitting there wishing there was more you could do. You will have acted and prepared yourself and you will be ready to serve. 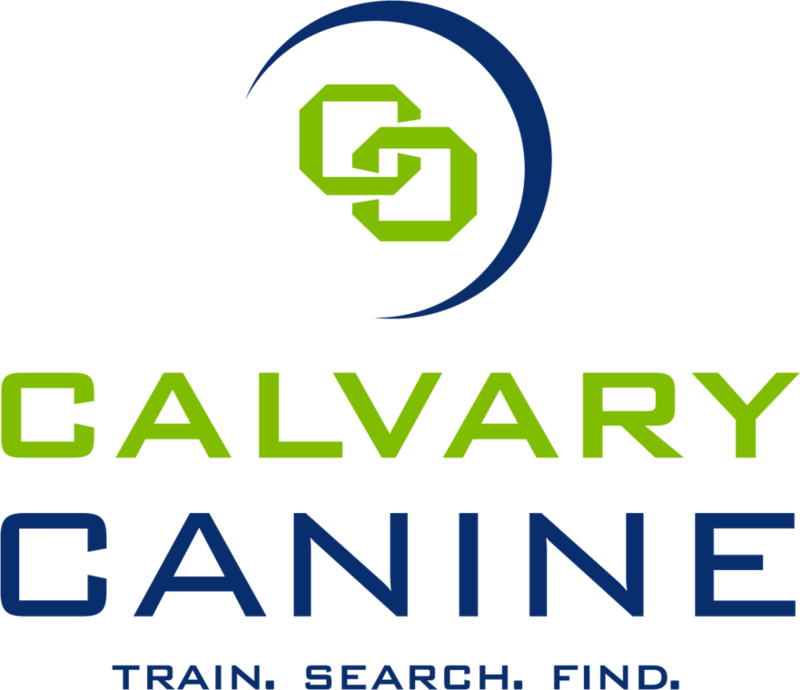 If the efforts of the Search & Rescue dogs and their dedicated handlers is what grabbed your heart, I invite you to learn more by following our blog and join Calvary Canine in our mission to provide these special dogs the training and equipment they need to perform their life-saving work. The purpose of life is not to be happy. It is to be useful, to be honorable, to be compassionate, to have it make a difference that you have lived and lived well. ~Ralph Waldo Emerson.